Landing pages, those web pages you create and use to entice visitors to take a single action, have come a long way in terms of functionality and use. 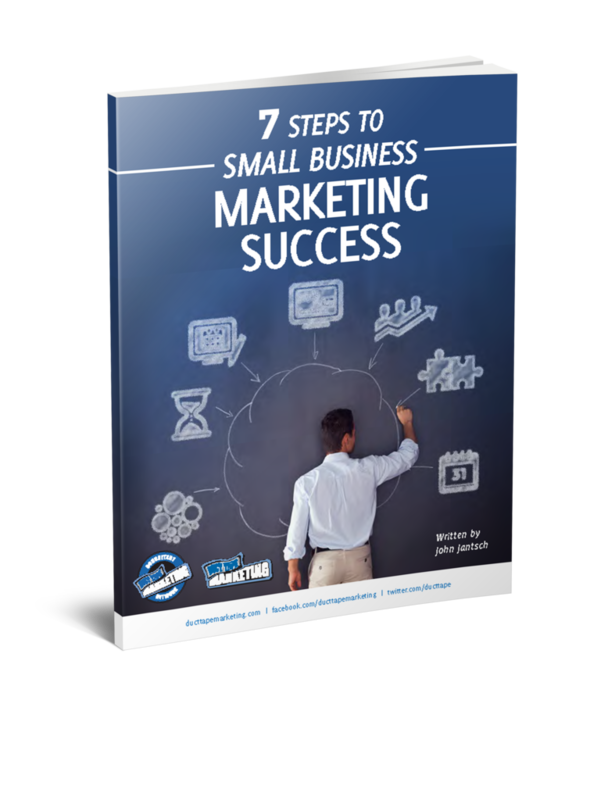 Internet Marketers have used them for years and with the introduction of services and practices dedicated to the use of these tools every small business can benefit from using highly optimized landing pages. I’ve been on a bit of rant about this topic so see the related posts below for more. For this week’s episode of the Duct Tape Marketing Podcast I spoke with the CEO and Director of Inbound Marketing for a landing page optimization firm Unbounce. In this episode we talk about how and when to use landing pages and the most important elements to consider when creating and testing your landing pages. I can’t say enough about the need to use a tool like unbounce or Google Website Optimizer to do routine testing of your pages. It’s amazing how often I find that some little seemingly insignificant tweak can make all the difference in the world in terms of conversion. If you’re not testing video and audio on your landing pages and thank you pages you may be missing the boat as well. But, video and audio messages can have a negative impact if not done authentically, so again, test and test! 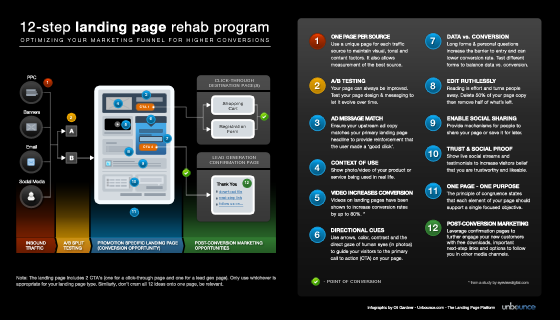 Unbounce provides some great information about landing page design courtesey of a blog written by Gardner – Here are a couple of my favorite posts – 7 Elements of a Winning Landing Page and The 12-Step Landing Page Rehab Program – the topic that covers the infographic in this post.